Oysters, sweet meats and we’re complete. With only two things left to tick off (Oysters and Sweetbreads. I mean meats. SweetMeats!) 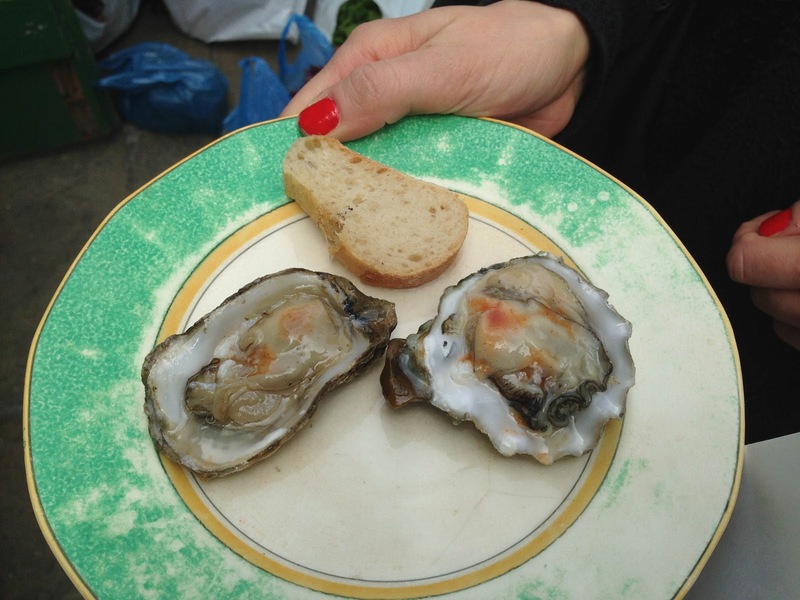 we hopped over to Columbia Road Flower Market in hunt of Colchester Oysters – a Sunday market stall selling the little blighters. 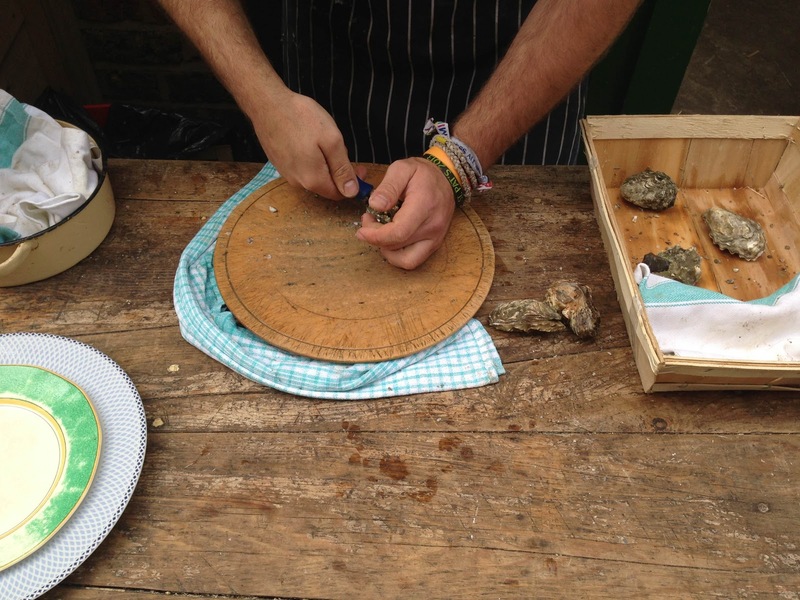 It’s a pretty bare set up – a work surface, a knife, a box of oysters, a tub full of chunks of lemon and a bottle o’ tabasco sauce. We bought two – dripped a bit of tabasco onto them and ate them. 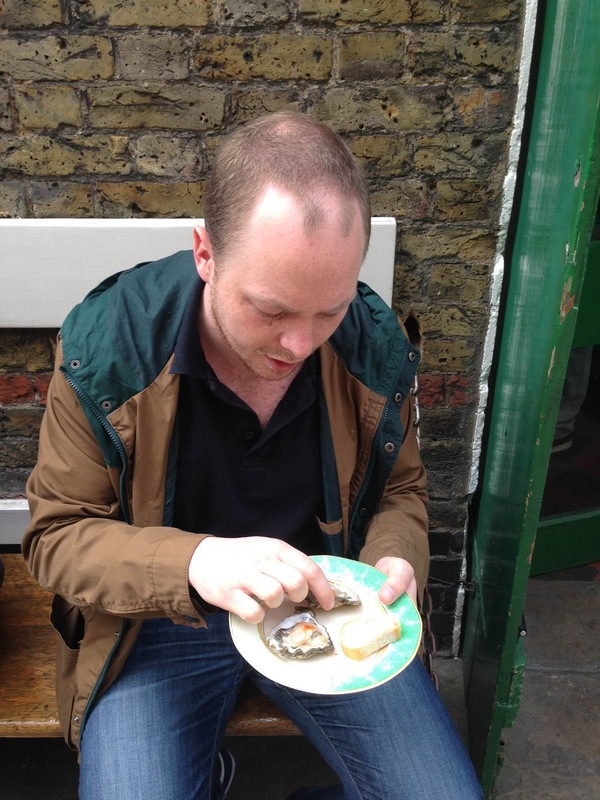 The guy recommended we chew on them a bit – to ensure we taste the oyster not the ocean. They were nice enough – I wouldn’t order them in a restaurant – but they weren’t disgusting. 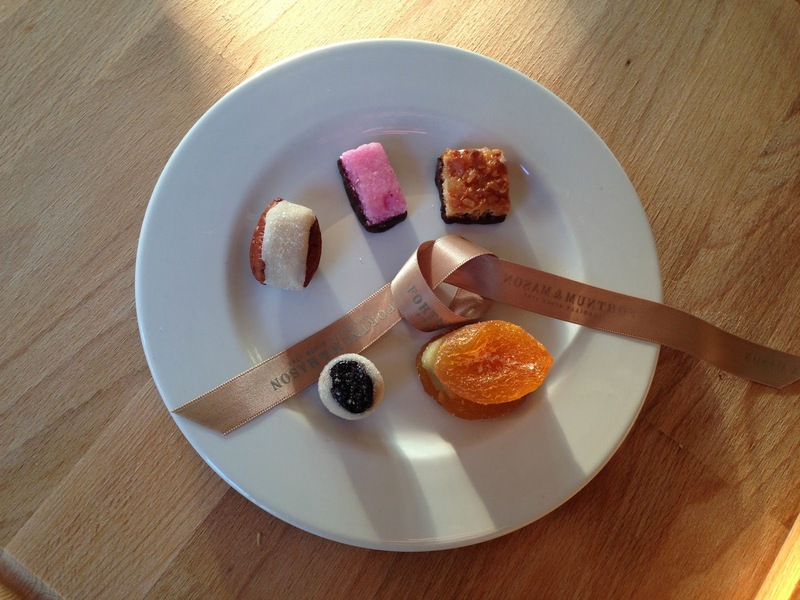 We hotfooted it from east to west, and returned to Fortnum and Mason – if they sell kumquats out of season, they’re surely going to sell Sweet Meats? And – breathe – they did! They were kind of glace fruits, mixed in with marzipan etc. If I’m honest – more than anything – they were just overpriced sweets. But probably a lovely thing to have with a posh/pricey meal. Sweet meats ticked off too – 23:Eat complete.